A mixture of mar­tial arts, dance and beat boxing helped Miss Pasifika Tents, Rayshal Nath, win the 2018 Vodafone Fiji Hi­biscus Festival Queens Talent Award on Wednes­day night. The 20-year-old’s per­formance was based on women empowerment. “Martial arts and beat boxing are mostly done by men in the society, but I believe that if women stand up for their rights then they are able to do more of this, they will be able to get some recogni­tion in society,” Ms Nath said. She thanked her choreographer Kunal Varma for his support and assistance. “I dedicate my award to my cho­reographer who worked really hard to ensure I gave my best performance and to my parents and my sponsors for being so sup­portive,” she said. The 20-year-old is pursuing her Bachelor of Com­merce degree at the University of the South Pacific. She is also a moni­toring, evaluation and learning data assistant at the Pa­cific Community’s Regional Rights Resource Team (SPC RRRT). She is a former student of Rishikul Sanatan College. Her advocacy mes­sage is focused on minimising the use of plastic bags because she feels that people are not aware of the severe impact plastic has on our environ­ment. 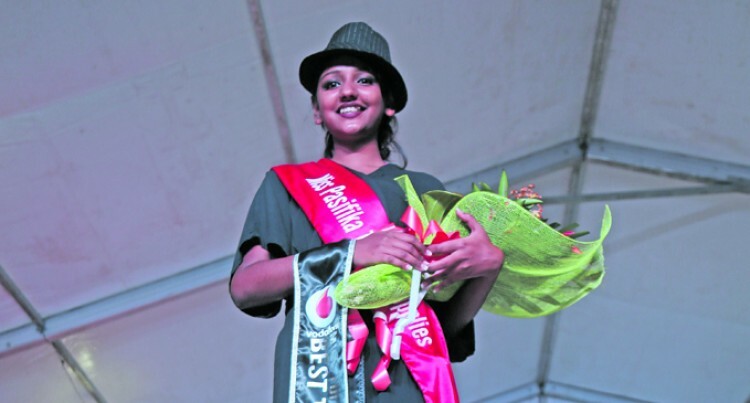 The queen contest­ants’ talent night was held at the Bank of Baroda tent at the Valelevu ground.